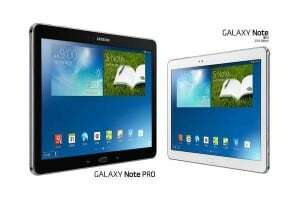 From today, the new line of high-end tablets from Samsung is available. For those who pre-ordered it the device was shipped. So we have the Galaxy TabPRO 8.4, the NotePRO 12.2 and the Galaxy TabPRO 10.1 which will can be shipped from today.Only the TabPRO 12.2 will be launched in March. As promised last week the nee devices are on stock, both in online stores or samsung.com and also in stores. So you can get a new tablet from: Best Buy, Walmart, Amazon, Samsung.com, Tiger Direct, Fry’s or PC Richard & Sons. 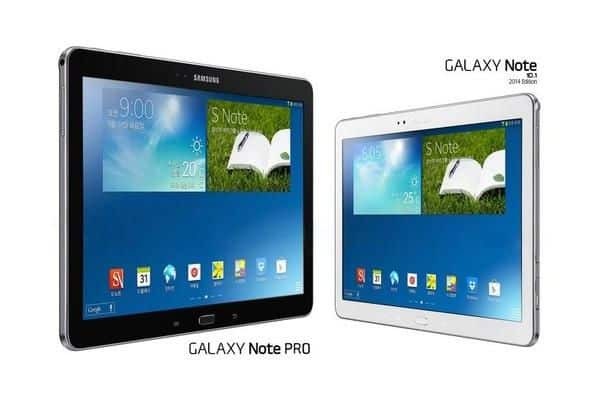 The new line of TabPRO and NotePRO are surely the best tablets from Samsung. There are big screens with the latest features on them, but also it comes with a spicy price. The are LTE versions with WI-FI for the NotePRO 12.2 but it’s possible that the other devices from Verizon will have this specs too. So go check them out and maybe buy your Valentine one!